Either current Thomas Cup champions – Denmark – or immediate past winners – Japan – will vie for the coveted Men’s World Team Championship on Sunday. Both nations progressed to the semi-finals of the TOTAL BWF Thomas & Uber Cup Finals 2018 tonight, to set up the tantalising prospect of Men’s Singles top gun, Viktor Axelsen, facing the other shining star of this generation – Kento Momota; a rival whose two-year absence from the top level coincided with Axelsen’s rise to prominence. Having clawed his way back up the rankings after a year-long ban, the 23-year-old has been rapidly making ground on those who were in his rear-view mirror when he was suspended in April 2016. Having lifted the Asian title last month, the skilled Japanese has now piloted his country into the final four in Bangkok and is looking to go further after dismissing France 3-1 in the quarter-finals. “It will be tough. Viktor is the world No.1 and has been playing well. I hope I can play even better than I did today and that we can win,” said Momota following his polished 21-13 21-11 victory over Brice Leverdez that began Japan’s semi-final quest. Despite being delayed by Lucas Corvee’s win over Kazumasa Sakai (21-17 21-19), Momota (featured image; left) and his team-mates got the job done; the other two points coming from doubles combinations, Takeshi Kamura/Keigo Sonoda and Hiroyuki Endo/Yuta Watanabe. The latter ousted Thom Gicquel/Ronan Labar, 21-17 21-18, while Kamura and Sonoda efficiently dispatched Bastian Kersaudy/Julien Maio (21-15 21-9). On the adjoining court, 24-year-old Axelsen (featured image; right) had a much stiffer test, showing steely nerves to triumph over Son Wan Ho – saving a match point in the decider as he battled to a 14-21 21-14 20-22 win that inspired his team to a 3-0 sweep of Korea. “Thomas Cup is all about nerves and emotions and the feeling of wanting to do everything for your team and your country. I am happy I was able to win. It could have gone either way. Son played well and made it tough for me,” said the reigning World champion. 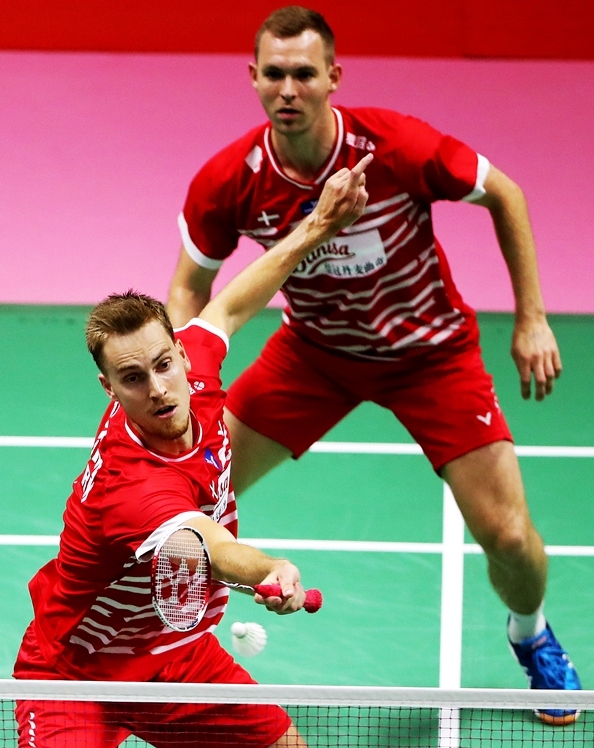 About two hours later, when doubles tandem Mads Conrad-Petersen and Mads Pieler Kolding as well as Hans-Kristian Solberg Vittinghus had completed Denmark’s on-court assignment, head coach Kenneth Jonassen considered the task of tackling the 2014 Thomas Cup winners. “It’s a 50-50 match – whichever team has the better day – and of course some luck – can win it. Momota is back and that makes Japan stronger. The match between him and Viktor is probably the most anticipated match of the tournament. Overall, it should be a good battle to get into the final,” assessed Jonassen. While it’s been more than two years since these exciting players stood across the net from each other, Momota will have good memories of opposing the big Dane, with 6-1 head-to-head record in the Japanese’s favour; Axelsen’s lone success coming at the German Open 2014. The other Thomas Cup semi-final will feature China and Indonesia. 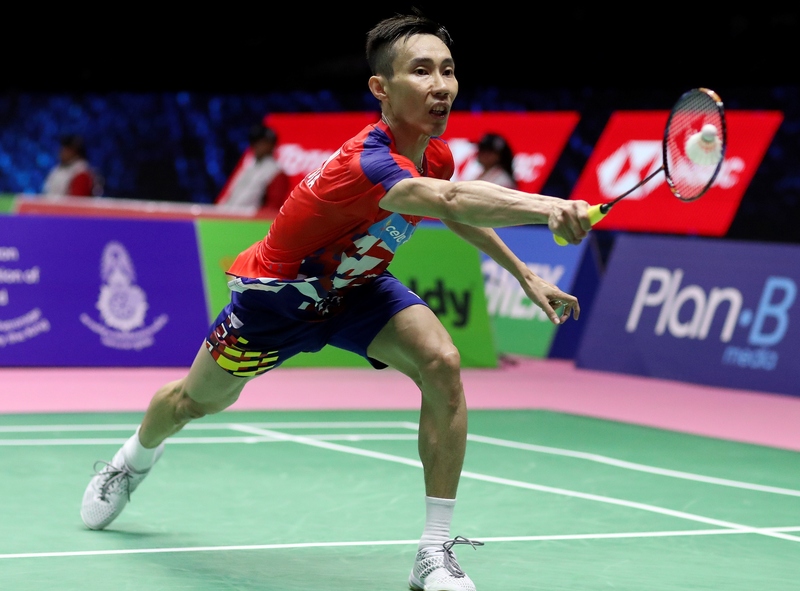 This was confirmed after the latter withstood their Malaysian challengers, with only the legendary Lee Chong Wei able to earn a point for his nation. Indonesia took the next three matches – thanks to Men’s Doubles titans, Marcus Fernaldi Gideon/Kevin Sanjaya Sukamuljo; Jonatan Christie in second singles and doubles pair, Fajar Alfian/Muhammad Rian Ardianto – to secure the 3-1 scoreline.